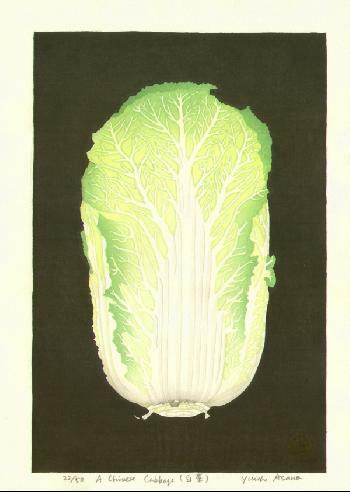 A Chinese Cabbage, number 22 from an edition of 50. Paper size: 31.3 x 44 cm., image size: 26 x 39.2 cm. Fine impression, colours and condition: pitch-black background, the leaves of the cabbage with blindprinting.